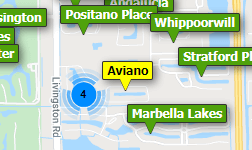 Samanns In Bonita Springs Homes: Centrally located to everything. Just off Old 41 it’s easy access to Rt 75, 41, the beach, Fort Myers and Naples. Close to Riverside Park, Shangri-La Springs and all the new development occurring in this area. This spacious 3 bedroom 2 bath home sits on a private oversized lot. Tile floors, screened lanai and an open floor plan. Rare opportunity to get in this undiscovered neighborhood. Currently tenant occupied until October 2019. Need professional assistance selling your property at Samanns In Bonita Springs Bonita Springs? Find out how an Area Specialist can help to generate more property exposure in order to get the most money for your investment in the least amount of time.